Despite an uprising of Amazon employees over the use of the company's AI facial recognition program ("Rekognition") in law enforcement, the company is actively courting US Immigration and Customs Enforcement in the hopes that it will use the wildly inaccurate technology. 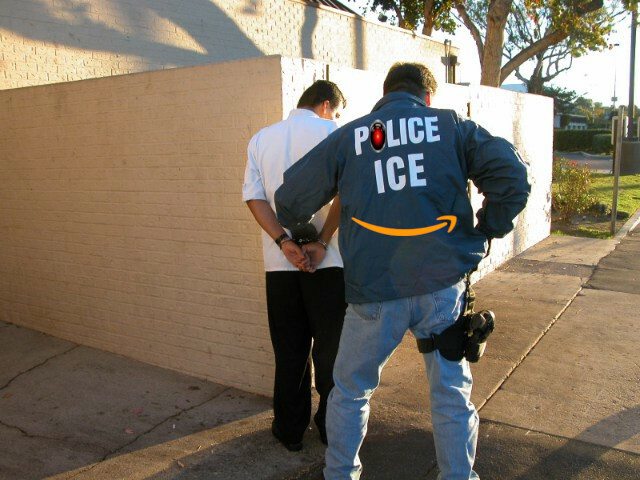 Thanks to work by McKinsney, ICE and Amazon's sales team met over the summer to discuss how Amazon's facial recognition could help the agency, which has cemented its reputation for performative xenophobic cruelty with a program of stealing babies from immigrant parents, dooming thousands of babies and children to never see their parents again. ICE could use facial recognition as part of its illegal surveillance of medical facilities and houses of worship. Amazon founder Jeff Bezos recently described his pro-immigration views ("I’d let them in if it was me, I like ‘em, I want all of them in").